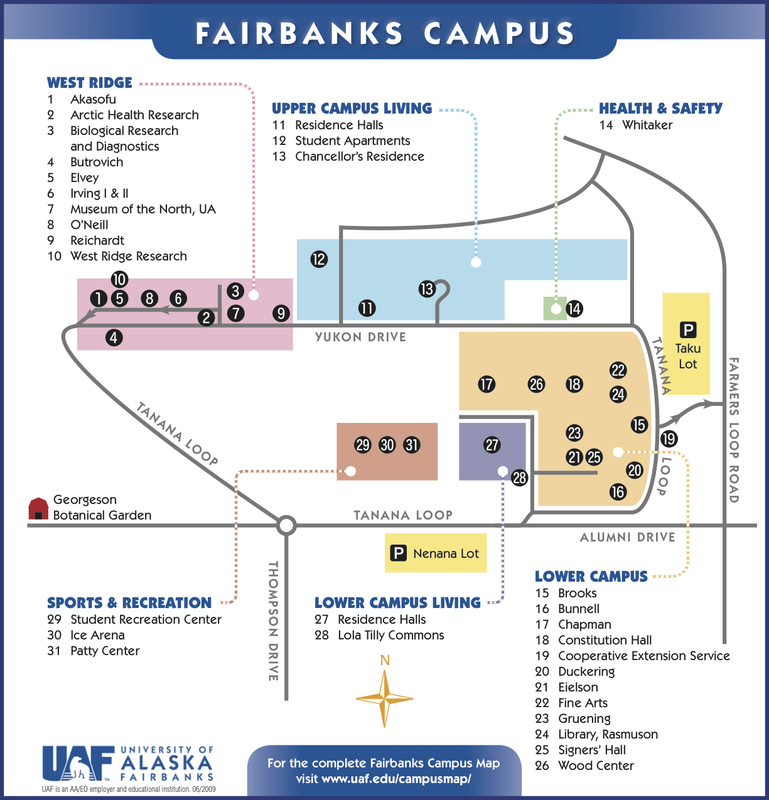 The AEC lab is located on West Ridge at the UAF campus, number 5 on the map above. The Elvey Building is easy to spot, thanks to the 30-foot satellite tracking dish on top. 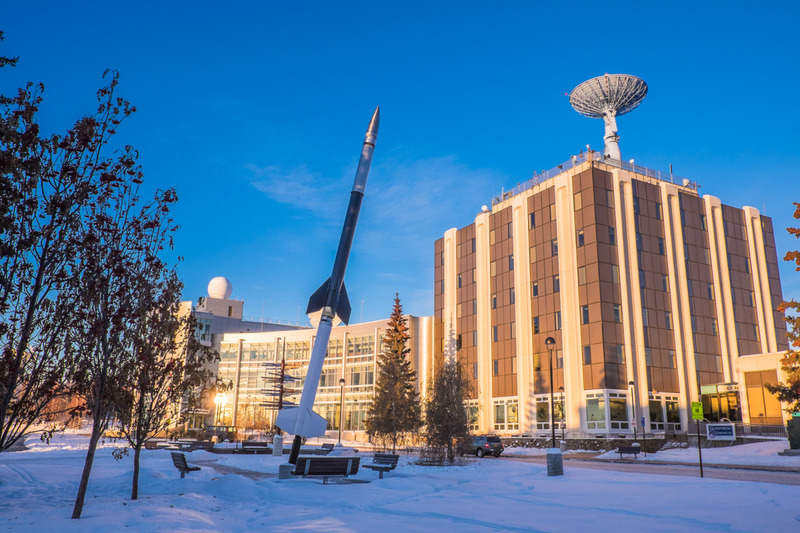 The Alaska Earthquake Center is located in suite 301 of the Elvey Building on the University of Alaska Fairbanks campus. Our lab will be directly to your right as you exit the elevator on the third floor. Metered parking is available directly in front of the Elvey Building on Koyukuk Drive. Parking is also available for a fee in the lots in front of and behind the Elvey Building. Look for the parking kiosks and follow the instructions to purchase your parking permit.